Last edited by JBauer; 02-21-2019 at 03:47 AM. It is in New Jersey too. I don't know this car but it's near me. Used car dealership. 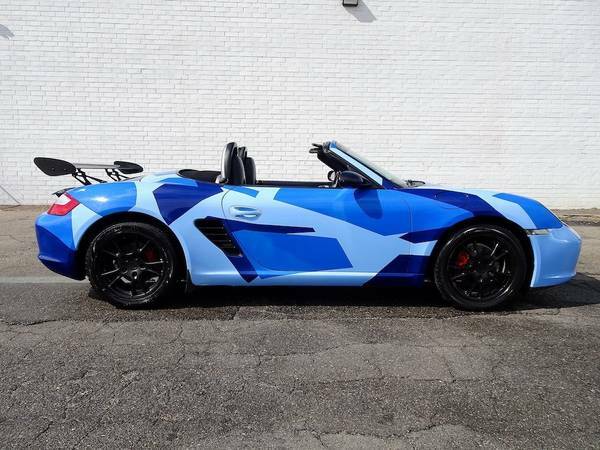 A 2011 Boxster for $13,900. Wow, what a bargain. I'm sure it's an "Excellent car, great condition". That's why he's asking 50% of what it should be selling for. And it's got power windows too !! I bet they're moving overseas and have to sell it immediately. I get emails with the same verbiage as pic #2 all the time. They'll ask if you still have the car available after just listing it an hr earlier, then jump into the problems with CL processing emails and ask you to contact them directly. The generic 'the car' question is a dead giveaway, along with the hokie story about receiving emails. When I list my cars on multiple CLs, these emails all show up w/in minutes of each other. Can't imagine the nastiness that would rain down on your email addr if you fall for it. At least they lifted the proper VIN. When I was in CL timeout for advertising on too many cities, the CL admins admonished me for not listing the VIN. I said it was too easy for someone to steal my pics and info and I didn't want to make their ad appear more legit by providing the VIN too. They acted like I was insane. I will always provide the VIN to a real person, but only after I've verified they're real. Had someone ask for the VIN as they're 1st and only question. I said I'd give it if they called me directly. They refused. Sorry, no deal. I wonder how many ppl actually contact them thinking they've run across the deal of the century? Greed blinds the senses. Last edited by husker boxster; 02-25-2019 at 09:53 PM. Congratulations, that is a great score. If you ever decide to sell it you can probably make a few dollars! 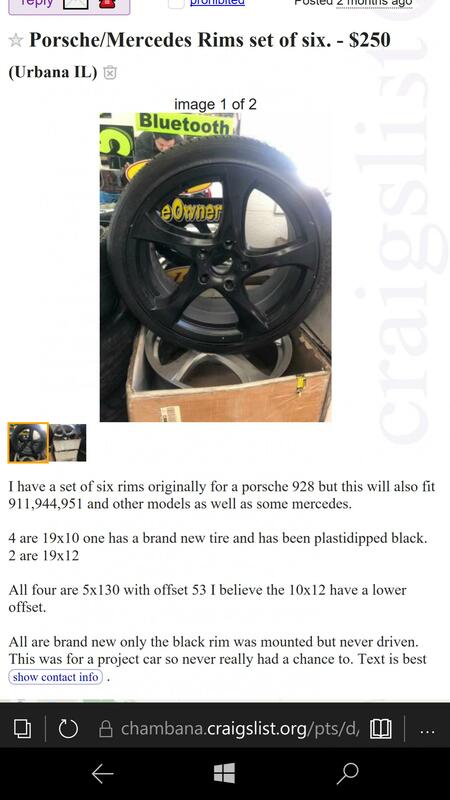 For as many scams and horror stories out there about Craigslist, it's great to see there are also good ones! Another good one happened to me last October. I sold my 2012 Acura TL with 128,000 miles within an hour of posting the ad to the first person that called me. I might have been able to get a little more for it if I held out, but I wanted it gone that day so I could use the license plates on an incoming new car. They showed up with cash and took the car that night. I have sold 5 cars on Craigslist over the past 10 years or so and all have been great experiences. I love reading about the great finds and scams that everyone posts in this thread! The guy has an "urgent need for cash", and he'll even take Crypto Currency too !! Last edited by BoxMann; 02-27-2019 at 05:17 PM. A nicely optioned car. I normally take a laissez faire approach to color choices under the “it’s your car” philosophy, but I do wonder what the previous owner was thinking. Last edited by KevinH1990; 02-27-2019 at 07:56 PM. The black ones a pretty sweet deal even when converted to Canadian funds. They look like a solid option for those that want the best of both worlds, sad thing is you won’t find very many in canada and you’ll pay a premium usually if you do. The top with headliner is $3000 unfinished. Looks likes done a good job fitting it, IMS done and good miles. I wonder if you get the convertible top, seems to be missing. Sounds too cheap or a great deal. Last edited by JBauer; 02-28-2019 at 10:27 AM. Almost reminds me of Johnny Cash's song, "One Piece At A Time"